To me, this is very exciting. BPA, one of these chemical estrogens, is found in hard plastics, in the linings of many food cans, and in many cash register receipts. And it doesn’t stay there. It gets into our bodies when we eat or drink something that has been stored or especially heated in one of these containers. It could get into our bodies when we handle receipts, then eat without washing our hands. The CDC estimates that right now BPA is in the bodies of 93 percent of Americans, with higher levels in teens than in adults, and higher levels in children than in teens. In animal studies, exposure to even trace amounts early in life has been linked to health problems including obesity, early puberty, and breast and prostate cancer. Researchers at Duke University have shown that this early exposure affects the offspring’s epigenetics: it turns on and off different genes, resulting in the problems that we see. Here’s the exciting part: They found that they could completely block BPA damage, even in the face of significant exposure, by giving pregnant animals extra folate (found mostly in green leafy vegetables – foliage – such as spinach) or extra genistein (found mostly in legumes such as soy). The amount of genistein given was comparable to what we would get in our diets if we ate soy foods regularly. These nutrients switched the genes back the way they should be, and the BPA effect was completely nullified. The researchers describe this as compelling evidence that certain nutrients can counteract BPA when given during pregnancy. Beyond this, the researchers propose that these nutrients could block the effects of chemical estrogen exposures, even if given later in childhood and possibly even in adulthood. This research is still preliminary, but it makes sense to me. Before this study, I already recommended including some green leafy veggies and whole soy foods in your family’s diet. This study suggests these may nourish and protect your child in more ways than we expected. 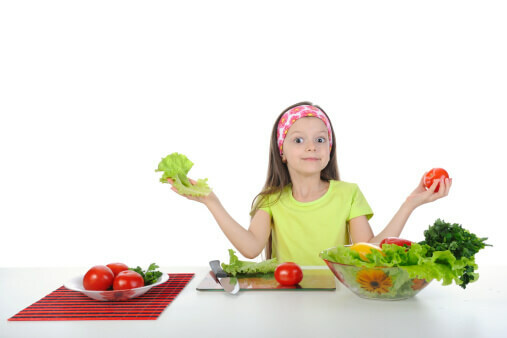 Of course I do not recommend knowingly ingesting BPA or other potentially harmful chemicals, but eating a healthy diet that includes green leafy vegetables and soy is a great idea for the times you or your children are unknowingly exposed. Calafat, A.M., Kuklenyik, Z., Reidy, J.A., Caudill, S.P., Ekong, J., and Needham L.L. “Urinary Concentrations of Bisphenol A and 4-Nonylphenol in a Human Reference Population. Environmental Health Perspectives, Apr 2005, 113:391-395. Dolinoy, D.C., Huang, D., and Jirtle, R.L. “Maternal Nutrient Supplementation Counteracts Bisphenol-A-Induced DNA Hypomethylation in Early Development.” PNAS, 7 Aug 2007, 104(32):13056-13061.